Cycling is the longest distance in a triathlon and it takes the most time to complete. 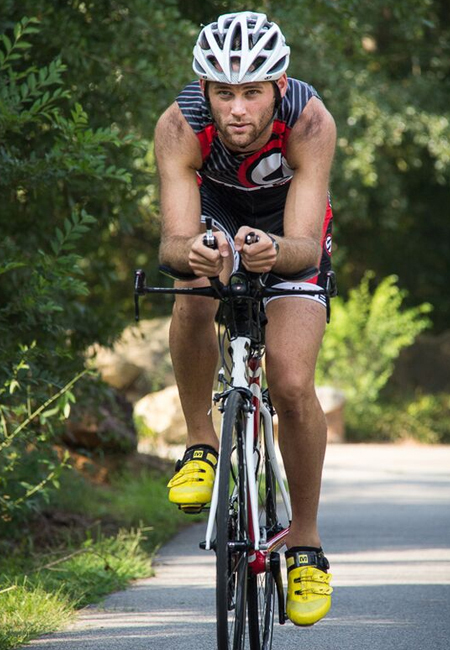 As your Coach, we will help prepare you for this critical leg of a triathlon. Specifically we will teach you about pacing, effort and training with power for whichever distance race you are training to compete in. Each bike workout will include details on pacing, effort, heart rate and power (if athlete uses a power meter). As your Coach, we will teach you about pacing, effort and training with power for whichever distance race you are training to compete in with a customized work out plan. Proper cycling efficiency and the correct balance of power and technique can mean the difference between a top finish and a poor finishing time. Our bench-marking software tracks your efficiency and power, allowing us to create goals that we can measure.